During the course of this review I’ve bumped up against a wall several times, and that wall is the invisible internet border between Canada and the United States. From the Canadian side of the content fence, the grass sure does seem greener on the other side. No review of cutting the cable would be complete without an honest assessment of the gap that exists between the US and Canada, so I decided to walk a week in the shoes of an American consumer. What I discovered is that while the services are certainly more mature, some of the same issues that make internet content frustrating to work with in Canada also exist south of the border. Internet TV services in the United States have a good head start on similar services here in Canada, and those years of experience really show. Recognizing that people don’t want to hunt all over the internet for their favourite shows, websites such as hulu.com, tv.com, and fancast.com (as well as many nerd-targeted aggregator applications) have popped up which have HD content available from multiple networks. Recognizing that people don’t really want to watch TV on their computers, Internet TV providers have adopted wide-ranging device strategies from Hulu’s Plus service that brings TV content in a fantastic user experience to the XBox, PS3, and computer to TV.com’s mobile app. 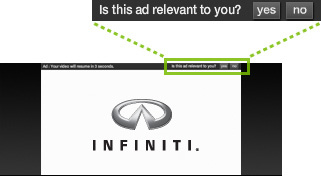 And recognizing that people are willing to now actually watch the advertisements in return for a good experience, providers are working hard to ensure that those ads are relevant for you. 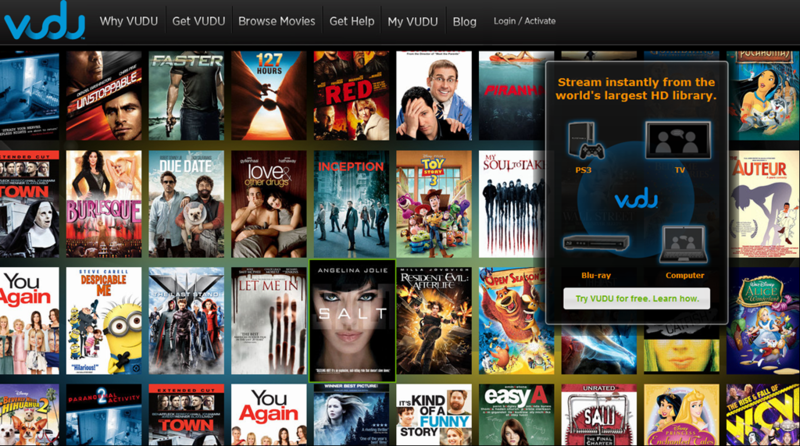 Movie rental/streaming sites are significantly ahead in the US, with services like Vudu offering BluRay-quality HD streaming of all the new releases to multiple devices for less than your local Blockbuster. At first pass, the plethora of content options is downright awesome. But after actually putting the services through their paces some of the same warts start to shine through. 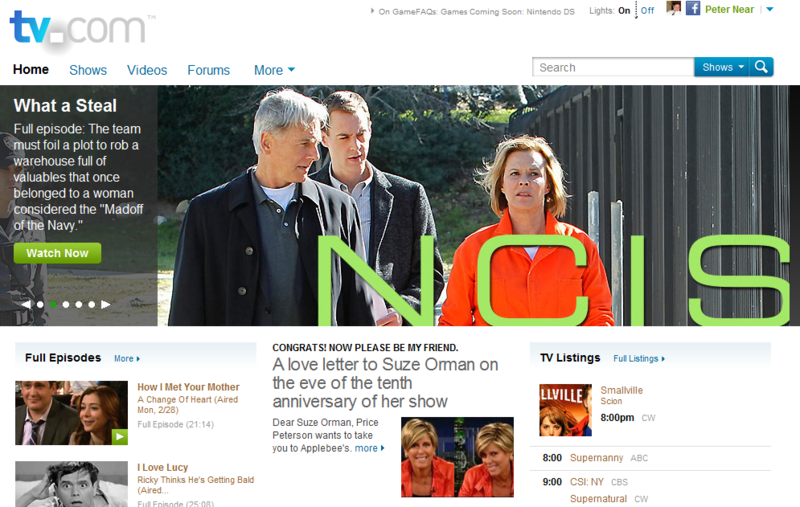 On the Hulu website, if you search for CSI you’ll get a hit and be redirected to watch it at CBS.com. But through any of the Hulu applications, no dice. Nearly half of the shows we watch are CBS shows and they’re simply not available on Hulu apps even after you pay $7.99 for the privilege of watching premium content. On Boxee (and other similar aggregators), you have access to much more content than when in Canada but because of the massive amount of cutthroat competition in the US it keeps breaking. On one day, all Hulu content became unavailable on Boxee, another day all of the fancast videos didn’t play properly. While our content providers haven’t quite matured their services yet in Canada, the mature services in the US are in a constant battle for content that leaves you with a fractured experience. Our broadcasters are just dipping their toes in the water, but the US broadcasters have recognized that this is the next battlefield and are leveraging their biggest asset (content) to try to make sure that the other guy doesn’t win. In my opinion, the grass is just a different shade of green on the other side of the fence. Services are much more mature, but because of the exclusive content deals there really isn’t one single family-friendly answer to cutting the cable yet in the US either. It does paint a positive picture for the future, assuming that we’re a couple of years behind in the experience department it is likely that the better tech will be running in Canada around the same time the content wars are getting settled. I have just been trying out the US based services for a week or so but I think they are far superior to the offerings in Canada, especially since there is essentially no Hulu equivalent in Canada. And Netflix US is far better than Netflix Canada. Having access to these services in an environment like SageTV, which can access pretty much all of these through PlayOn, or Win Media Center is pretty good. Add to that all of the OTA that is available in the GTA, supplemented with a bit of Bittorrent and you have a pretty compelling solution for less than $20 per month, and that assumes that you are assuming to Netflix, Hulu plus and PlayOn. With Sage it is also pretty easy to distribute to all TVs In your house via SageTV extenders. The only thing that I would miss would be the sports from channels like TSN, etc. One thing that you haven’t discussed too much is the advertising. One of the big advantages to a PVR, especially a PC based PVR is the ability to avoid commercials via automatic commercial skipping or just quickly zipping though the commercials. You can’t do that with the online offerings so too many commercils really gets annoying. You forgot to list Satellite TV as an option. With a 33 or a 36 inch dish and an HD FTA satellite receiver, you can receive about 80 English channels with 8 of those in HD as listed at http://www.drsat.ca/cfm/drsat/channels.cfm?langid=1&sourceid=2 If you have room for a bigger dish, you can get even more with 220 English channels and 36 in HD as listed at http://www.drsat.ca/cfm/drsat/channels.cfm?langid=1&sourceid=6 These channels are unencrypted so they are legally available for free with no monthly subscription. The bigger dish also allows you to subscribe to HITS TV which offers up to 82 US speciality channels, easily filling the gap left over from cutting the cable. These channels are listed at http://www.drsat.ca/cfm/drsat/channels.cfm?langid=1&sourceid=4 The nice thing about HITS TV is that there are no contracts and you only have to pay for the channels you want to watch (i.e. No basic package required). Programming is prepaid either 1 month, 3 months, 6 months or 12 months in advance. Several channels are also available a la carte which allows you to create your own custom package. This service is legal in Canada as US subscription from a large dish service is not illegal under Canadian law. Y’know… all of this months I’ve been doing the VERY SAME steps you have all just made at about the very same time… looking for an alternative for Cable TV. I havent been plugged on Cable TV in 3 years now, and I miss the mindless channel surfing. I recently joined Netflix, although I found it really nice, the lack of content compared to the USA is downright depressing… USA have 90% more movies and TV Shows than we do. I’m still documenting myself about them, and seems like they can pick up HD signals and TV channels that normal “non cable” users cant pick up such as your local ABC, NBC, CBS and FOX networks. Antennas range from 20 to 100$. Some are indoors and others outdoors… they say outdoors are the best for reception, but I live on the first floor of an apartment building so I dont have access to the roof to install an outdoor antenna so I’m opting for an Indoor one such as the Winegard FreeVision FV-30BB HDTV Antenna ( http://www.amazon.com/Winegard-FV-HD30-FreeVision-HDTV-Antenna/dp/B002TIELEM/ref=pd_cp_e_1 ). I’m really intrigued by how well it will perform. I’ll probably buy one Next Wednesday and check it out. @Slave – You haven’t been paying attention – the first alternative listed in Peter’s first article in this series is OTA. Peter is also quite well known as the person who has come up with “hacks” on how to use Windows Media Center for ATSC reception in Canada. One other thing – although the CRTC has lots to be hated for your anger is misdirected in this instance. The reason that you can’t get these services in Canada is that Hulu, etc do not own the Canadian rights to the content. This is purely a matter of commercial contracts it has zero to do with the CRTC. By the way it is very easy to get around these restrictions using something like a VPN service or usvideo.org. You forgot to list Satellite TV as an option. With a 33 or a 36 inch dish and an HD FTA satellite receiver, you can receive about 80 English channels with 8 of those in HD on Ku Band. If you have room for a bigger dish, you can get even more with 220 English channels and 36 in HD on C band as well. These channels are unencrypted so they are legally available for free with no monthly subscription. Yeah, people are psyched for this Hulu thing, but most of the time, even after you pay the monthly fee, they still get you for money somewhere. Buy this, watch this advert, go here. Very frustrating. I’ll just stick with torrents. Just stumbled across this really interesting series of posts, but I am yearning for a conclusion. Any plans for another blog entry on this subject?